Want a FREE Virtual Sample? It's simple!....Make your selection, fill in your details, and we\’ll email you a Free Virtual Sample within 24 hours showing how it will look with your logo. 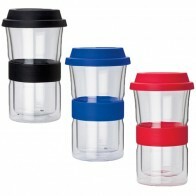 Please note that we provide one complimentary virtual sample per customer/per enquiry. How would you like this to look with your logo? 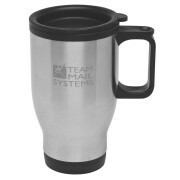 Superbly styled, double walled, all stainless steel car mug with electro etched inner and frosted coloured band around body. 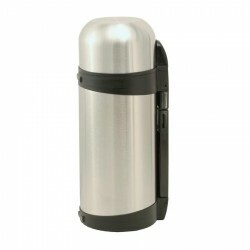 Capacity 400ml. In 4 colours. In white box. 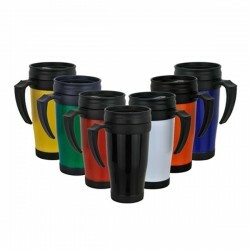 Australian Corporate Essentials has been producing and distributing promotional and branded merchandise in Australia for over 20 years. 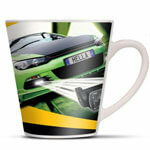 We deliver quality merchandise at very competitive prices, guaranteed! 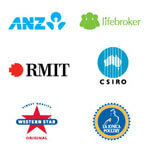 We are proud members of the Australasian Promotional Products Association. 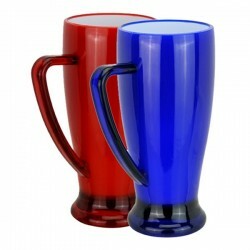 We offer the most competitive pricing, however if you find an identical product with the same level of decoration and delivery service offered from a fellow member of the Australasian Promotional Products Association at a lower cost - we guarantee we will endeavour to do our absolute best to match or beat the quoted price*. If we can assist further we may even offer a more suitable product that could be of an even better value for money or quality than your original selected product. Our understand the importance of your logo and branding. We guarantee that will not sacrifice the quality of your logo. 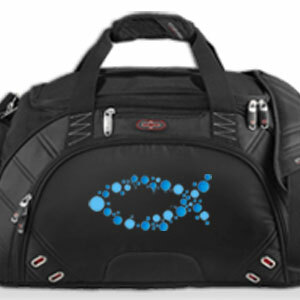 We we understand that your logo or advertising message needs to be protected and reproduced in the best way possible. 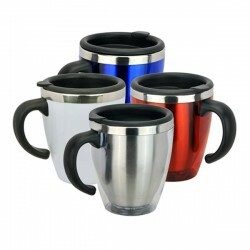 Enter your details for the product of your choice branded and decorated with your logo or business marketing message. Upon receipt of your request our branding specialists will contact you to confirm your merchandise selection and the decoration process required. Minimum order values, production economies of scale and decoration techniques used can in some situations impact viable minimum production levels. If your preferences are outside our normal minimum production levels feel free to speak with our specialists to find out how we can help you or suggest any other suitable options. Most products require some sort of set up charges can vary depending on the item and decoration technique used. These charges will be confirmed when the quote is provided. Can't find the Item You're Looking For? 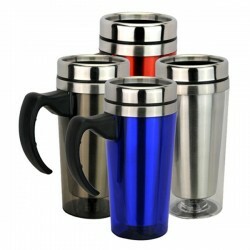 We source the globe to find new, innovative and modern styles of merchandise. Even though we have a great and wide range we can still find that something special and out of the ordinary to make an impact at your next marketing and advertising event. 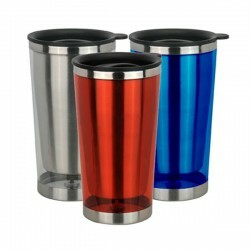 Consider speaking to us today about designing an individual and custom printed made item for your next trade show, conference or used as a promotional giveaway. 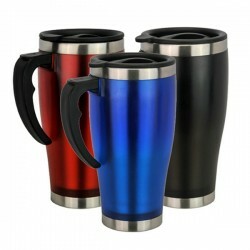 Branding promotional items requires the correct and most appropriate artwork to get the best results. If you need assistance with gathering or providing your artwork feel free to chat to our branding specialists who can assist you. We're always on hand to guide you through the process. What Artwork Needs to be Provided? We prefer to receive artwork in vector .eps format. For a more detailed specifications click here. 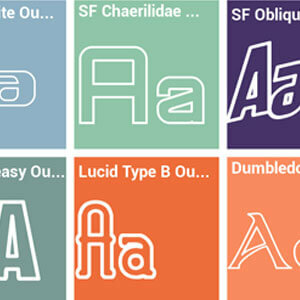 Different branding techniques can be used on different products, click here to get some visual guides as to how products look with . Do I Get a Proof of My Artwork? As part of our production process, once an order is confirmed, we provide clear artwork for approval showing how we will brand your merchandise. 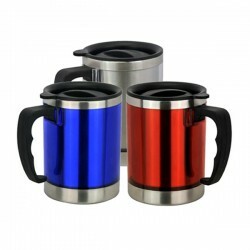 We do not place any items into production until our clients are happy to proceed. Can I Get My PMS Colour Matched? We will PMS colour-match unless otherwise stated. If PMS colour-matching is not possible on an item, the closest available colour will be selected. 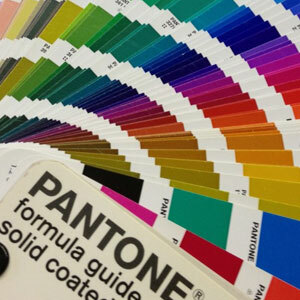 Our expert team can assist when selecting the most appropriate PMS colour or you can click here to view the PMS Colour Chart. For embroidery, we will select the embroidery thread colour that closely matches your specified PMS colour. If artwork can't be provided to specification, we can assist with the re-draw of your logo to the most appropriate useable format. We charge $50 to recreate your logo to an acceptable format and we will provide you with a copy of the logo. How Can I Send Artwork to You? You can send artwork by clicking here, files can be accepted up to 6mgb. For larger files contact us for alternative methods. Generally we allow about 2-3 weeks from the receipt of your confirmed order and artwork approval for production. This is subject to stock availability. Whilst we try to ensure that all promotional items shown on our site are in stock and available for fast branding and delivery we do encounter times when our stocks are sold out and are being replenished. If this situation occurs we will do our best to suggest an alternate range of products that can be produced within your advertising budget and time frame. If you need our products sooner, don't hesitate to ask our specialists and we will try our best to provide the fastest production and delivery timelines if required. 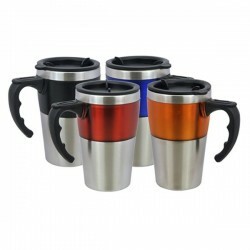 We can arrange delivery to Melbourne, Sydney, Brisbane, Adelaide, Perth. Other cities and towns within Australia are also serviced. In some circumstances we can arrange international shipping using our or your nominated carrier. We provide our dispatch dates to our clients, however we do use third party carriers and therefore their freight times do need to be taken into consideration when shipping promotional merchandise. Need Your Products in a Hurry? Challenge us!!! Tight deadline or need your merchandise in a hurry for an marketing event, conference, product launch or to be used as trade show giveaways speak with our experts now and we will arrange production to suit where possible. 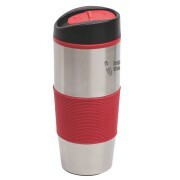 Capacity: 350 ml, Interior: Plastic, Double Walled. 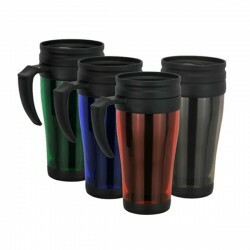 Capacity: 500 ml, Plastic Mug, Single Wall.